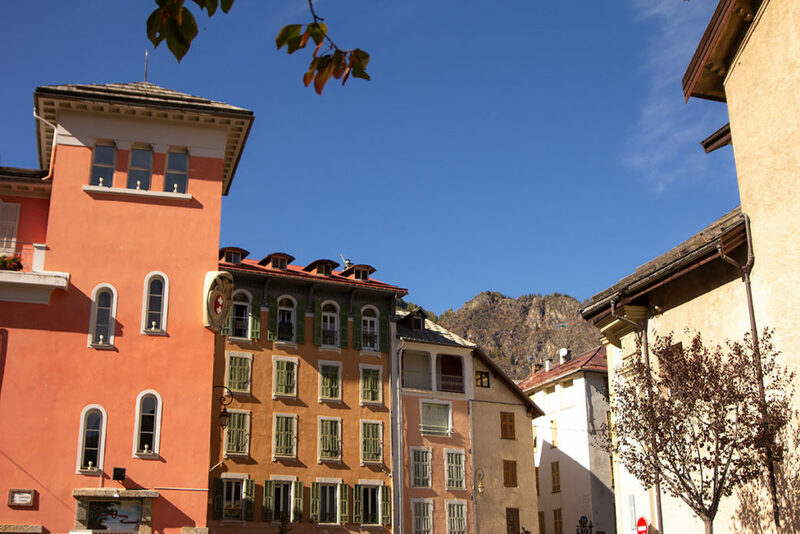 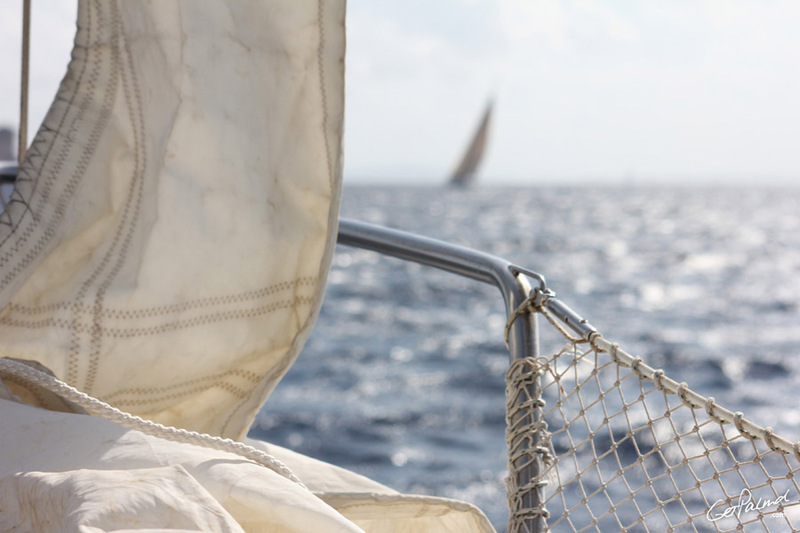 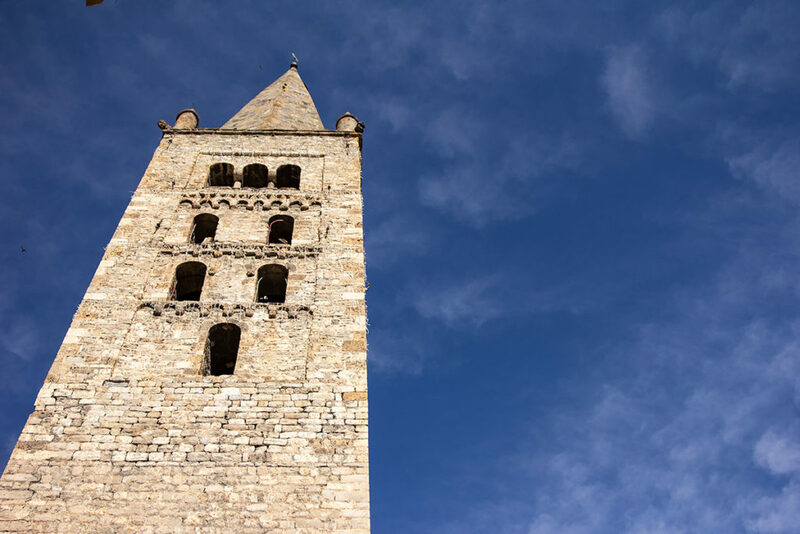 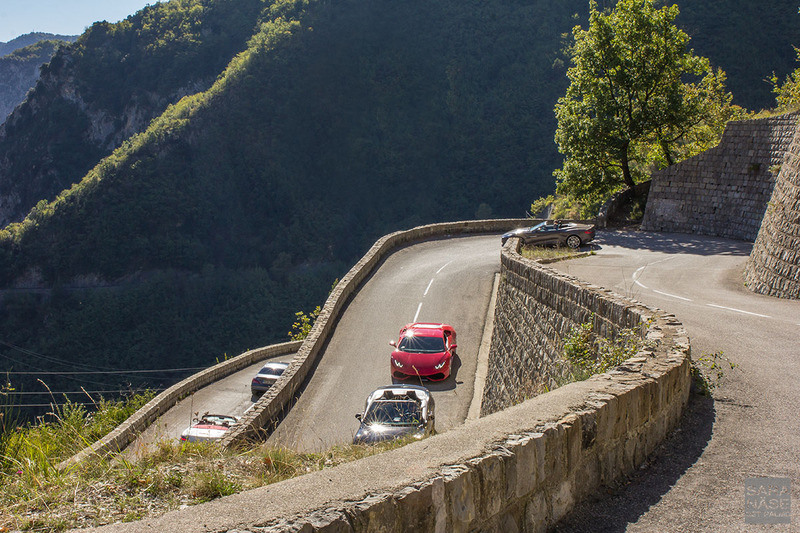 Having left Tuscany behind we made our way from Italy to the French Riviera and up into the foothills of the Alps. 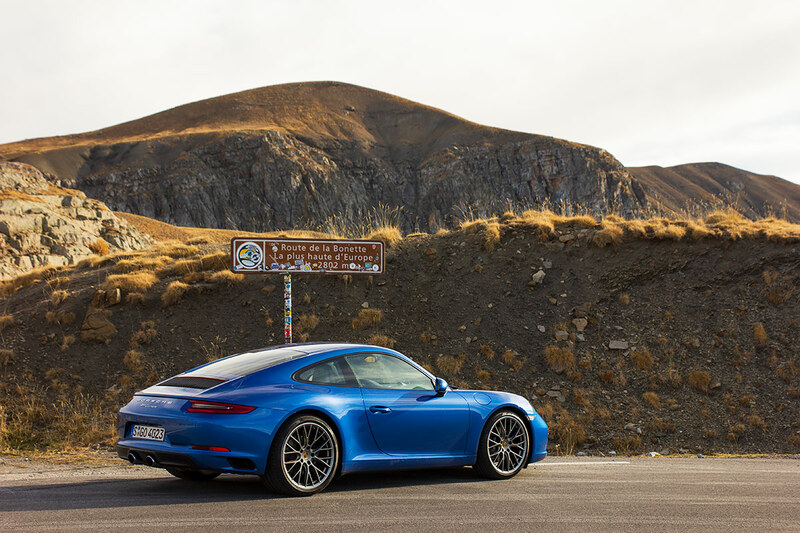 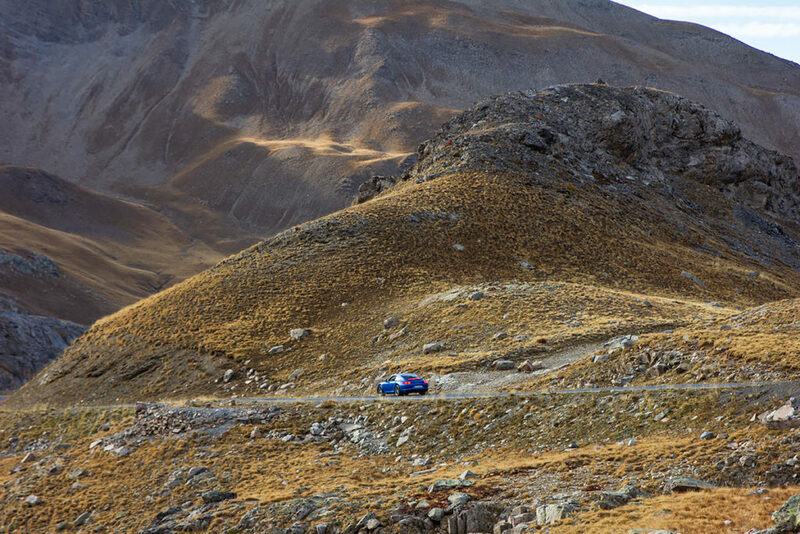 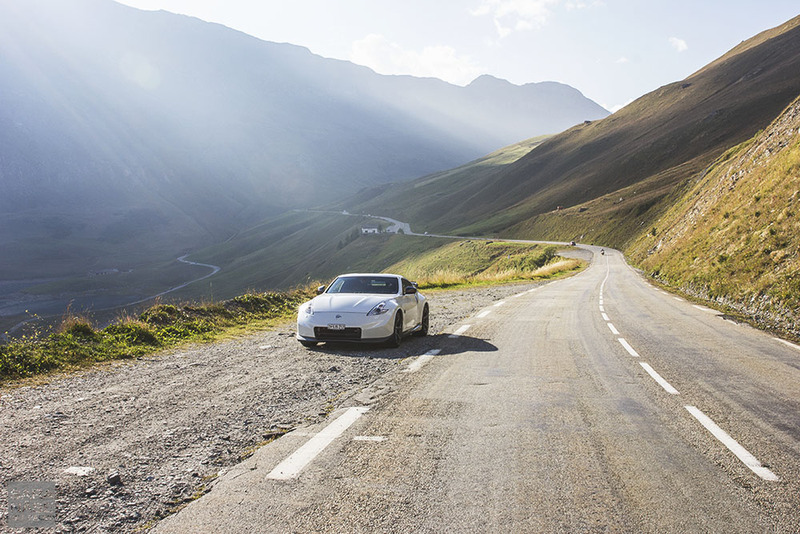 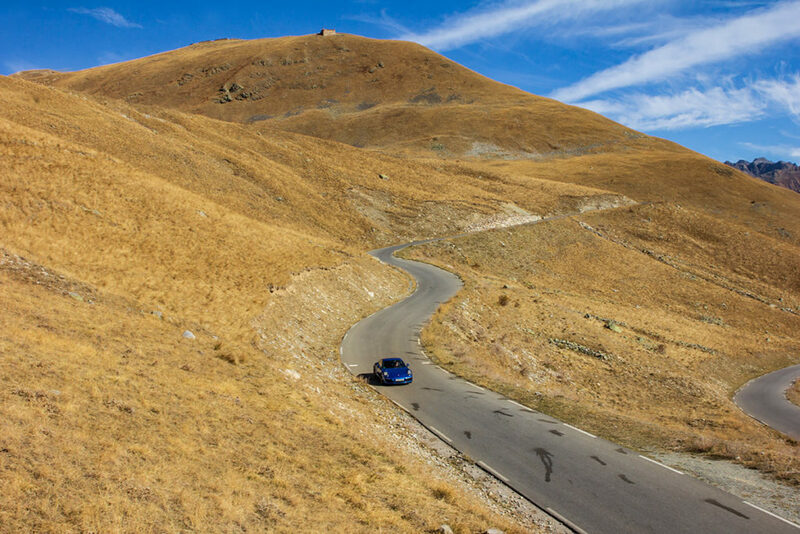 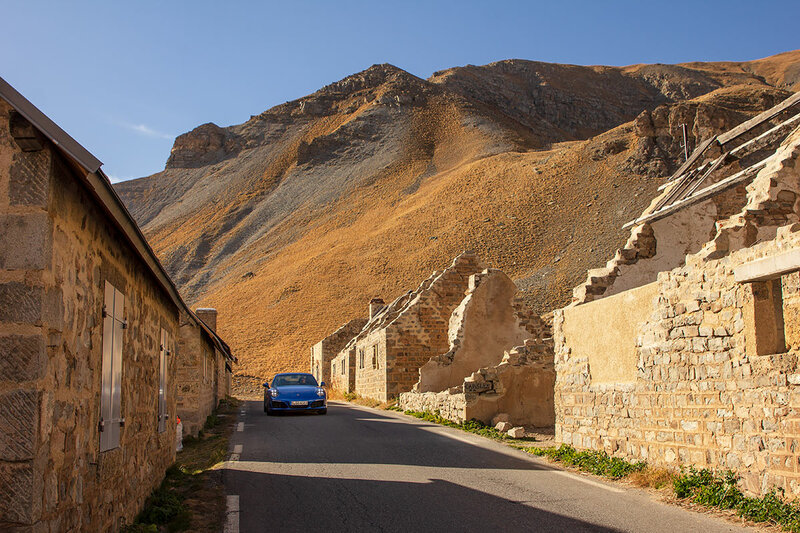 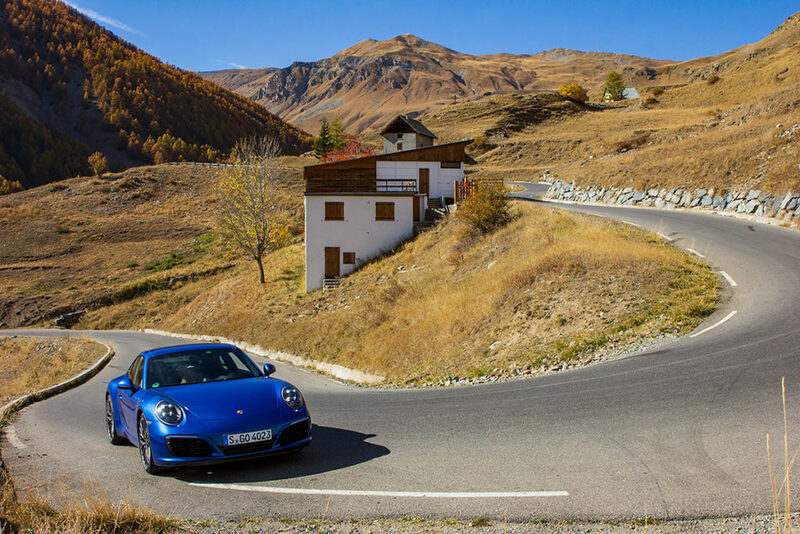 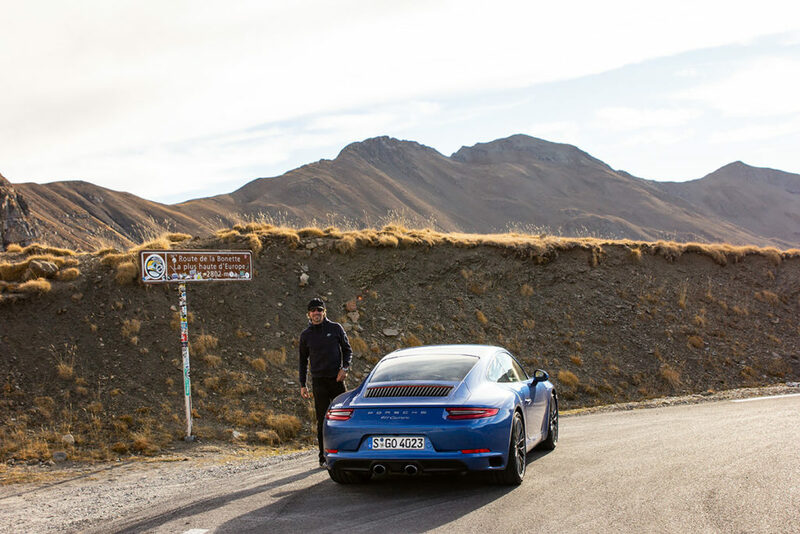 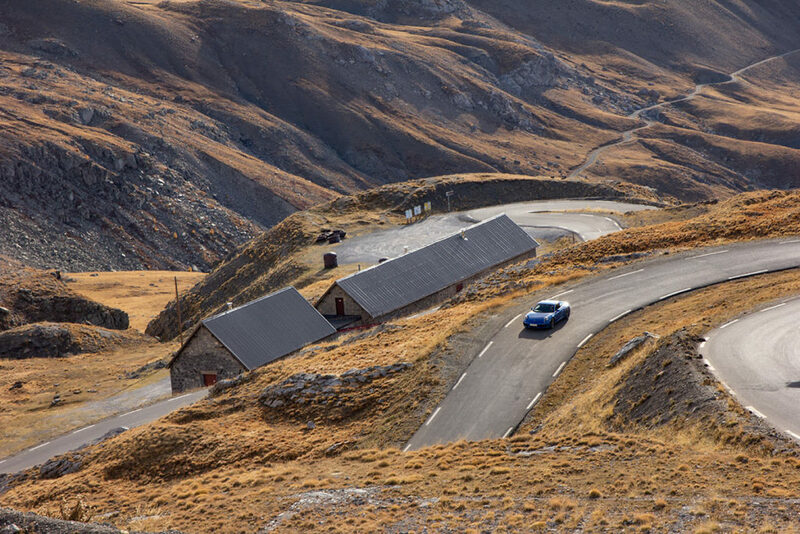 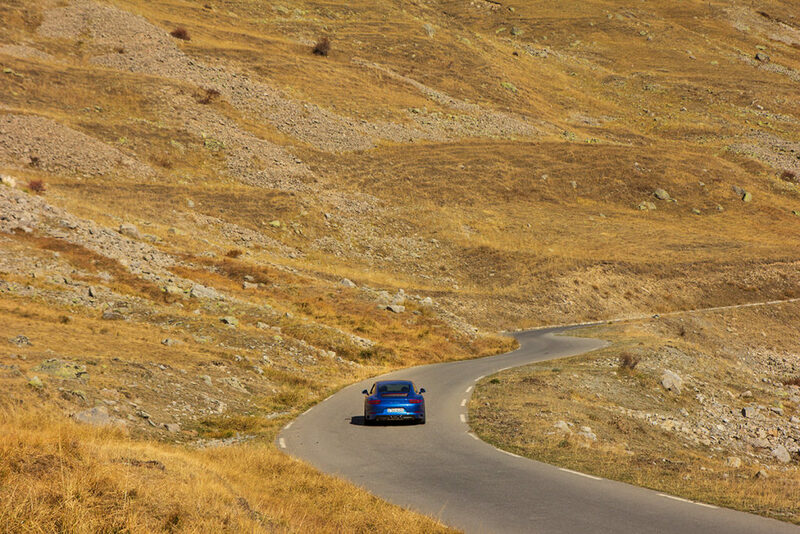 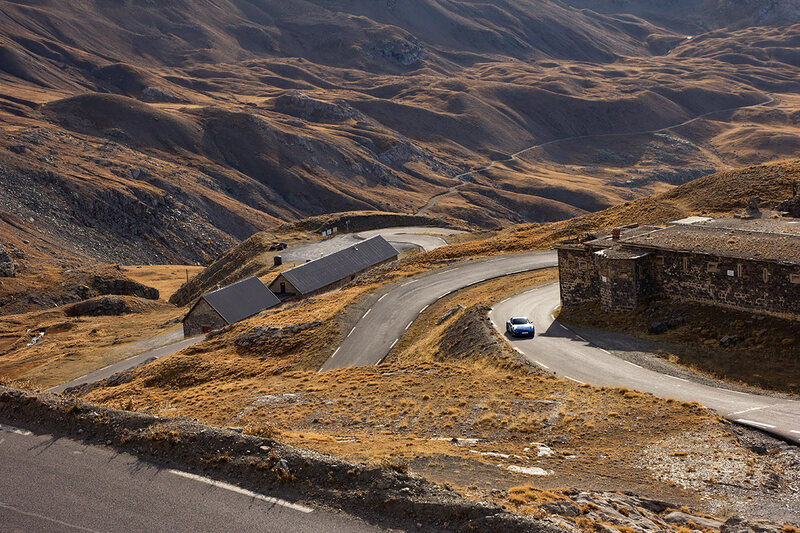 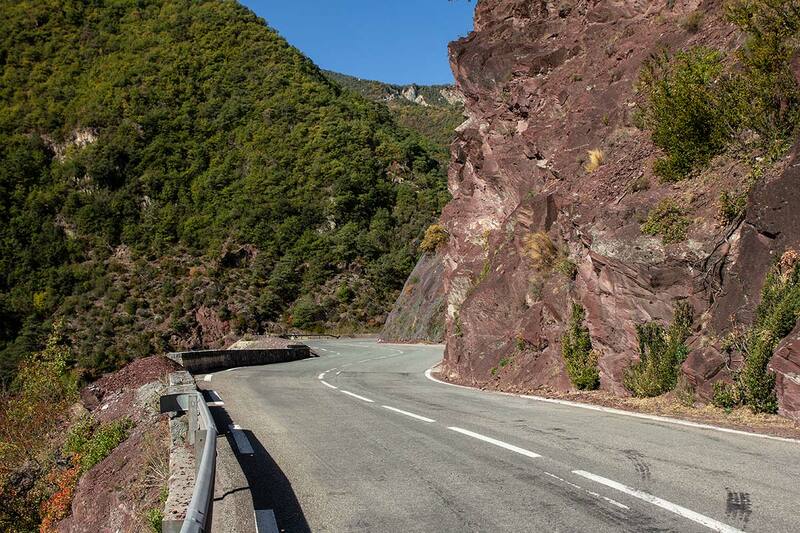 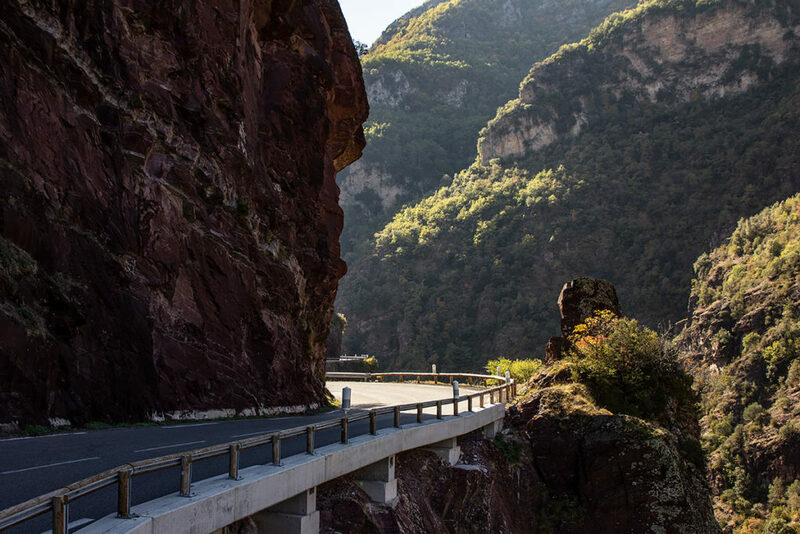 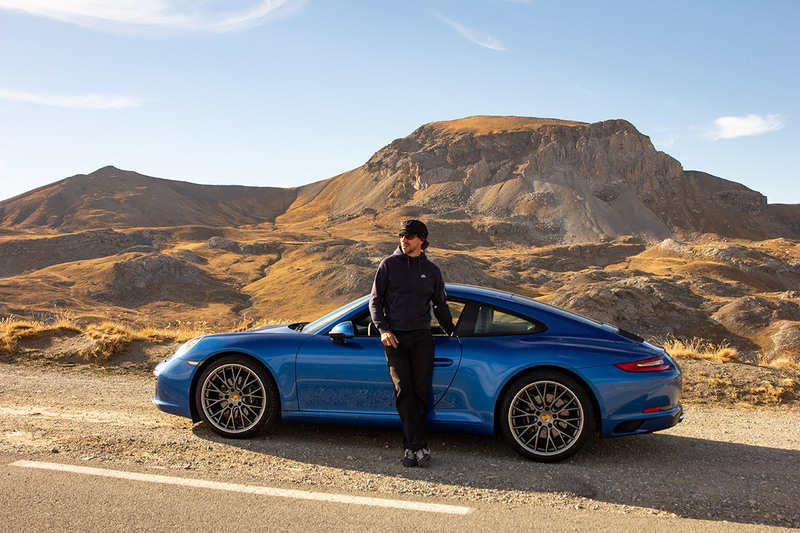 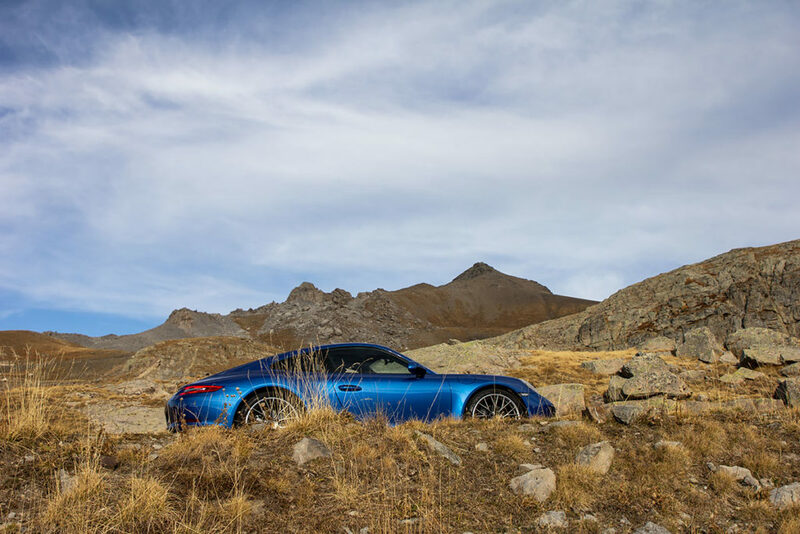 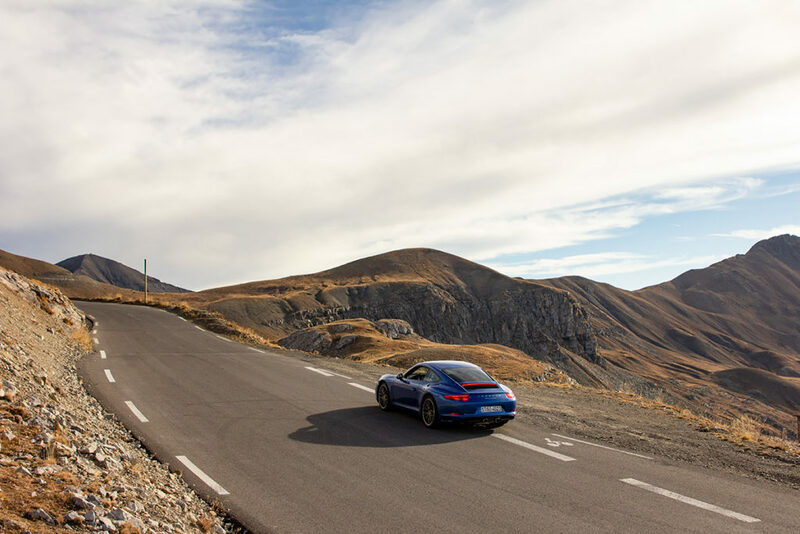 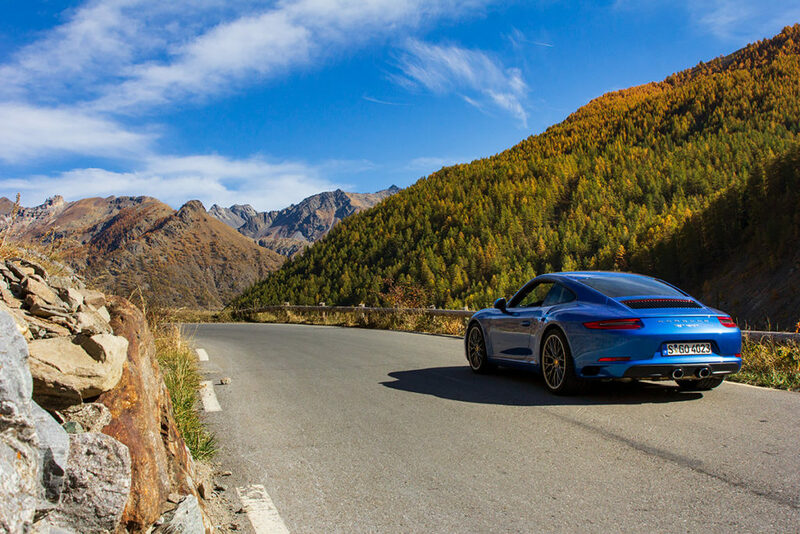 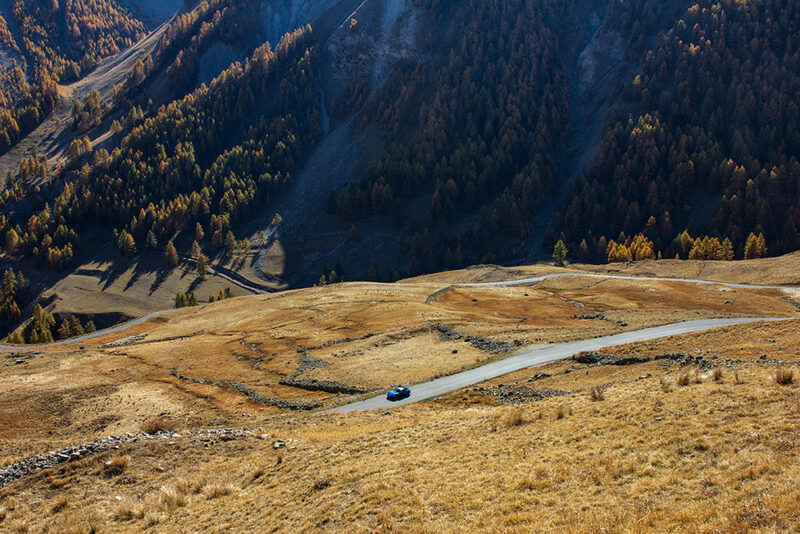 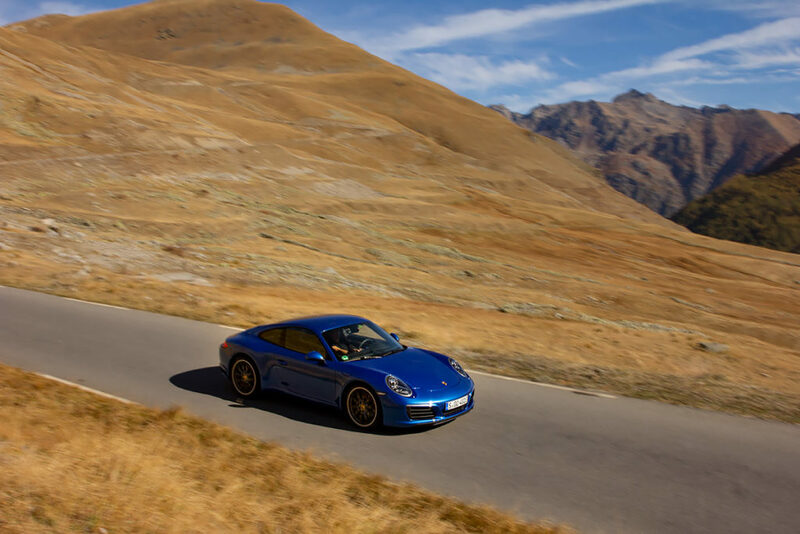 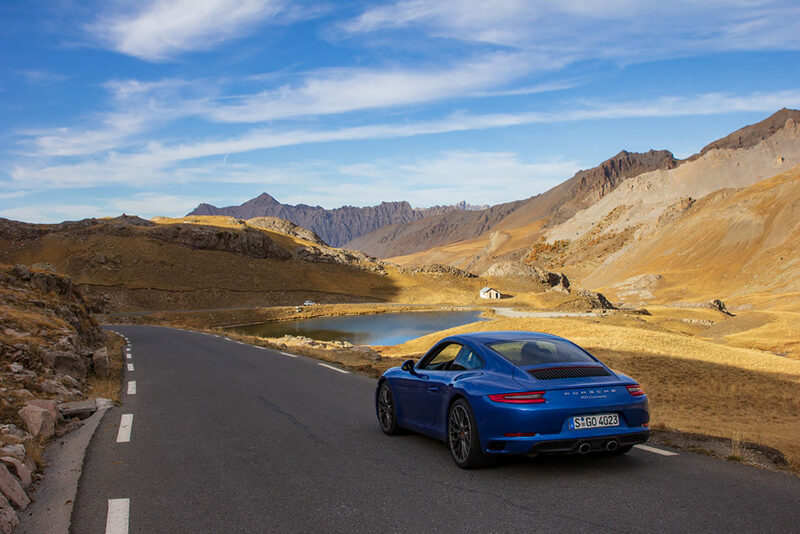 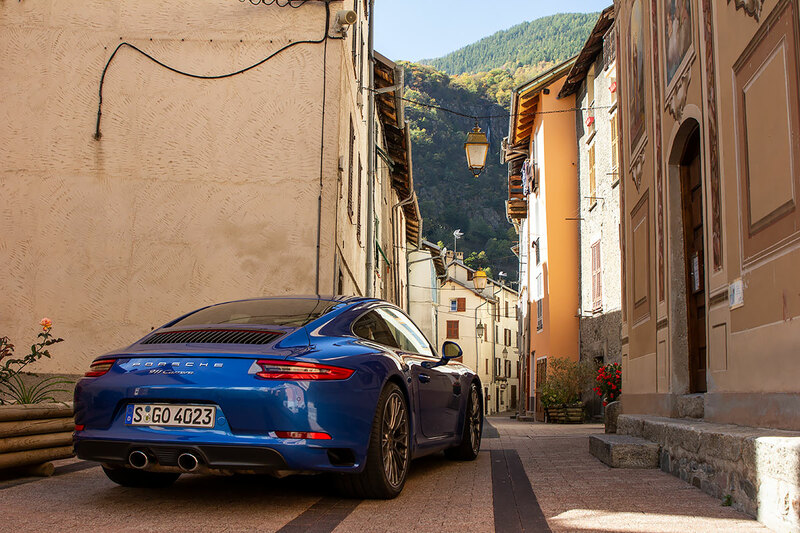 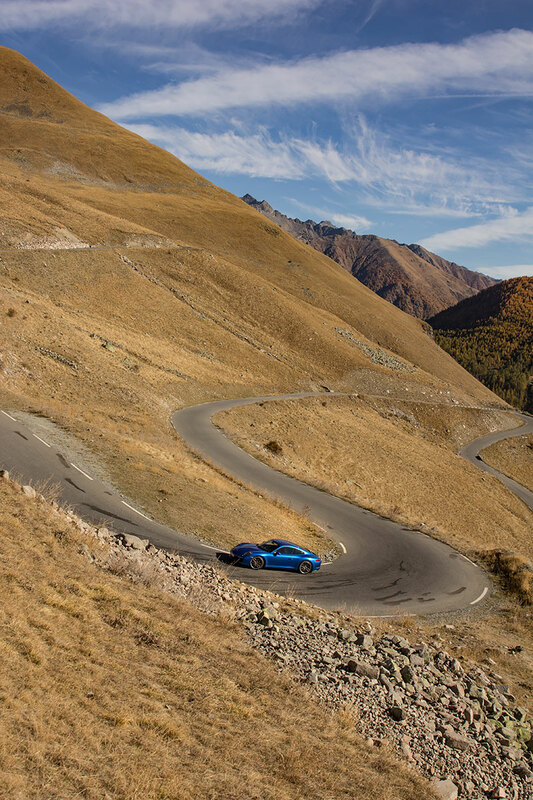 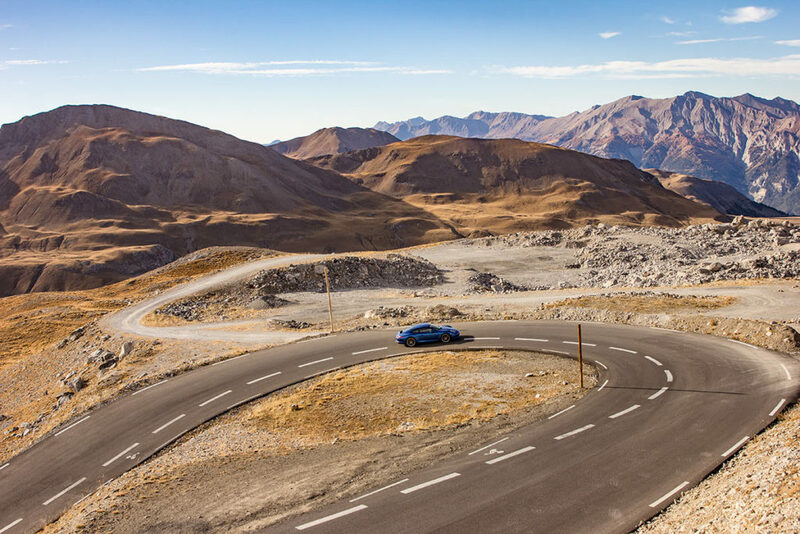 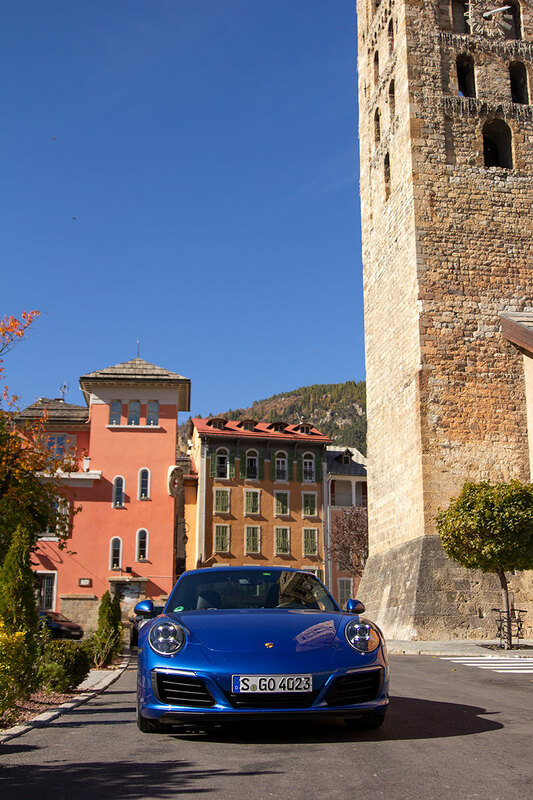 One of the greatest drives on our Porsche adventure in the sapphire blue 991 Carrera was, without question, over an absolutely breathtaking mountain pass in the French Alps – the Col de la Bonette. 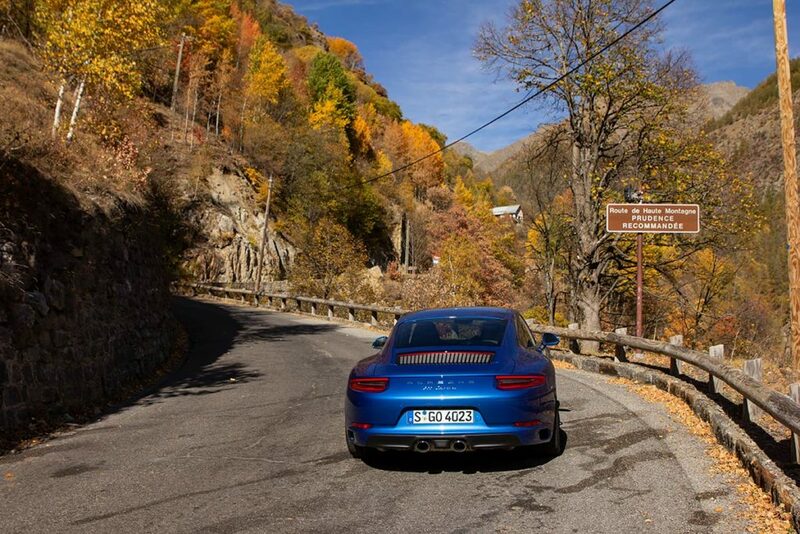 It was the first pass to conquer out of the two picture perfect mountain roads I’d chosen for this particular Porsche adventure from Tuscany to the South of France, and as it was mid-October the roads were incredibly quiet. 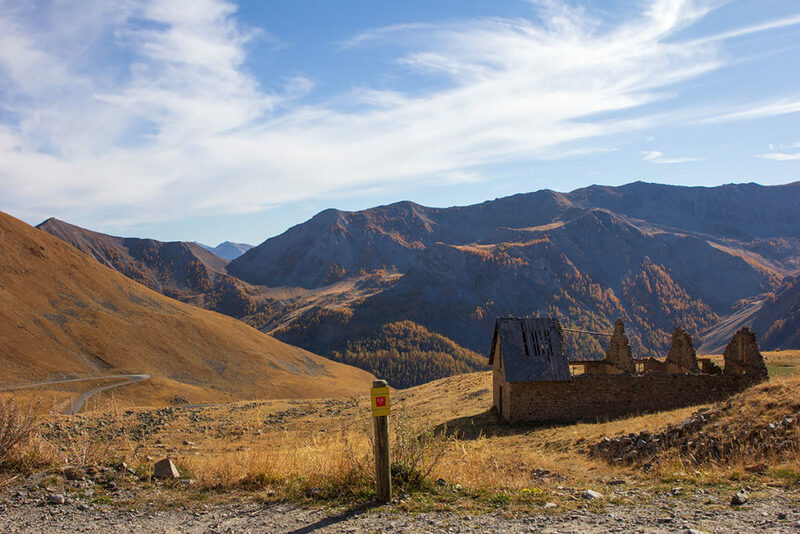 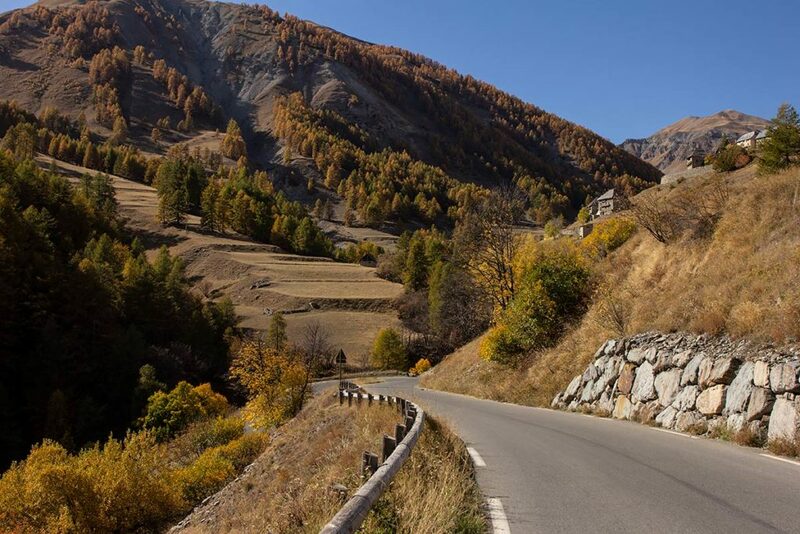 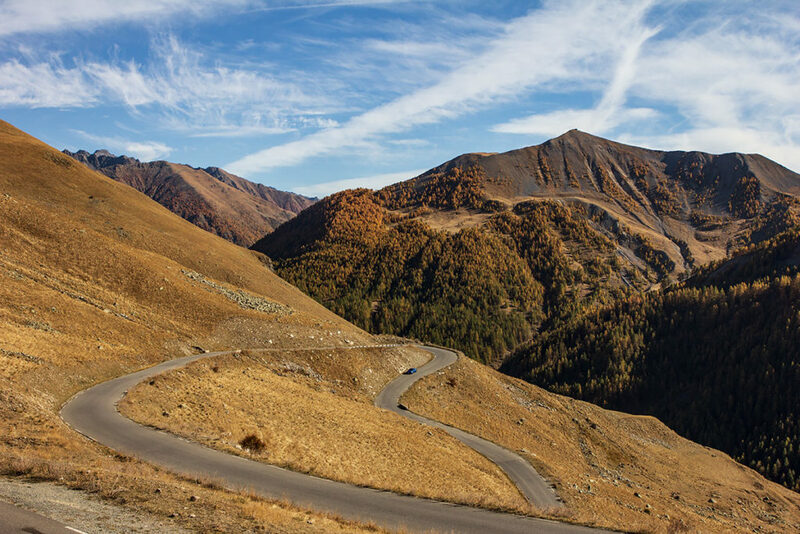 Up in the Alps there was a peaceful atmosphere, as only a handful of drivers had made the trip to cross the high crest of Col de la Bonette that late in the autumn. 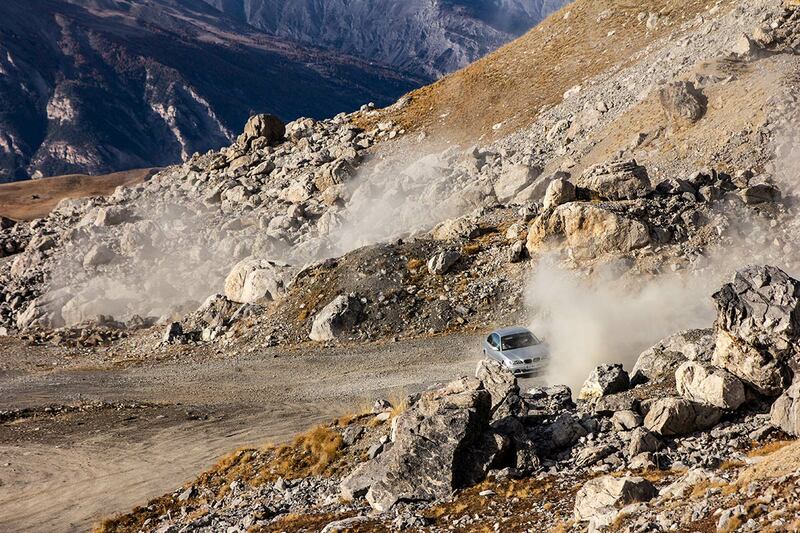 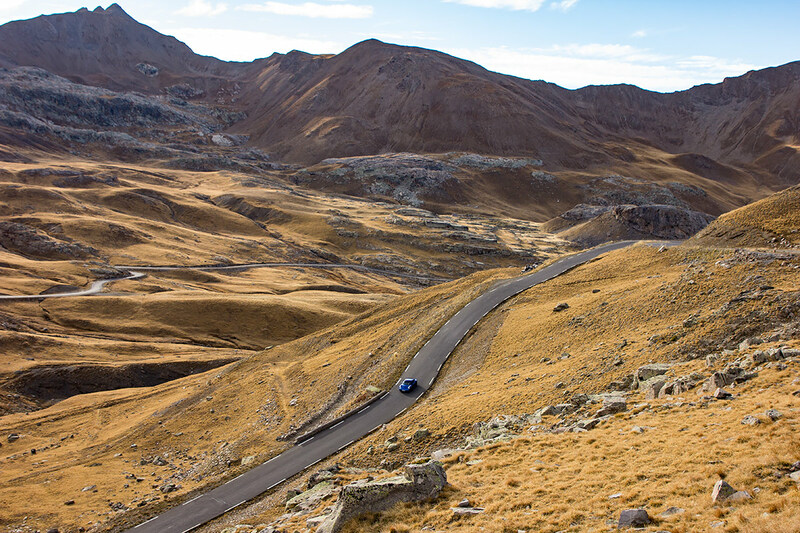 For one day Col de la Bonette felt like our private playground, and we had just the right car for the adventure. 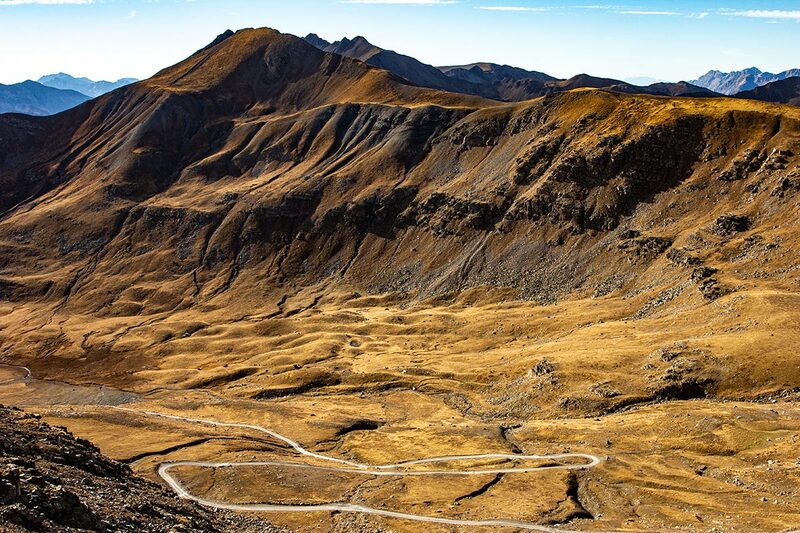 Col de la Bonette is the seventh highest paved road in the Alps rising up to 2715m above sea level, and the short 2km loop road from the pass, called Cime de la Bonette, rises even higher to 2802 m above sea level. 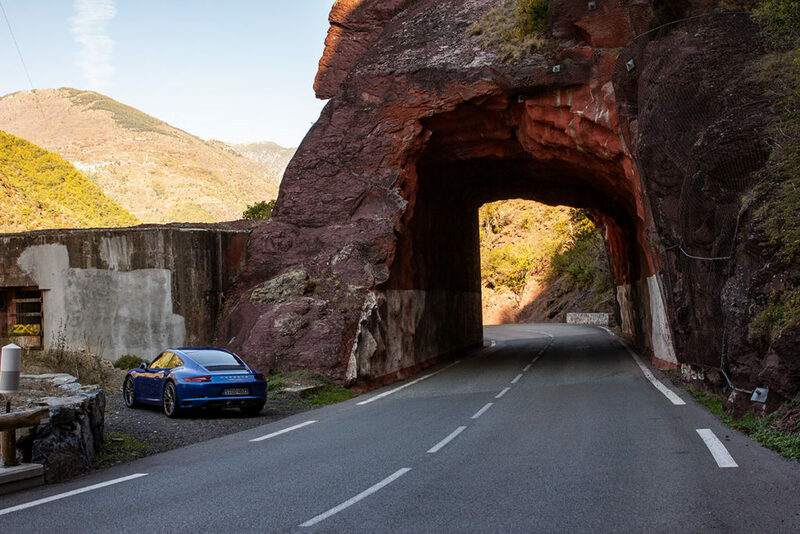 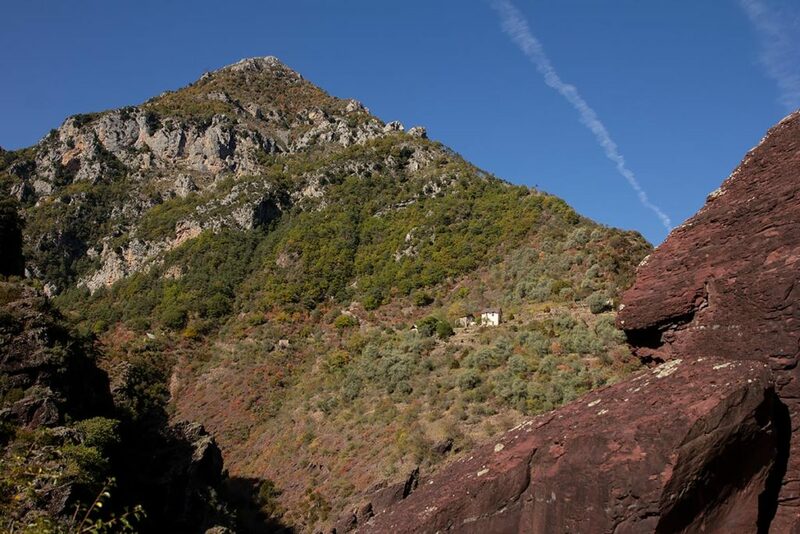 Because of its ideal location only 130 kilometers from Monaco it’s a highly recommended excursion if you’re road tripping in the South of France (between June and October only, as the pass road is closed during the winter) and you’re looking for an exciting driving adventure for one day. 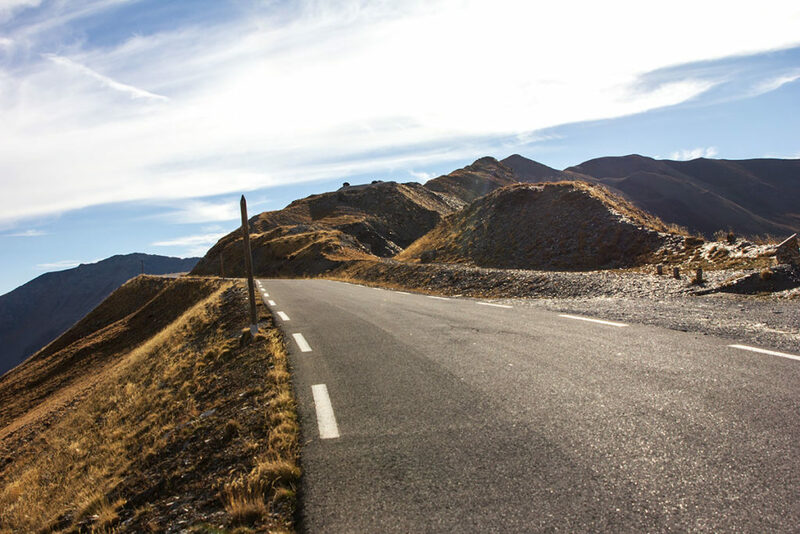 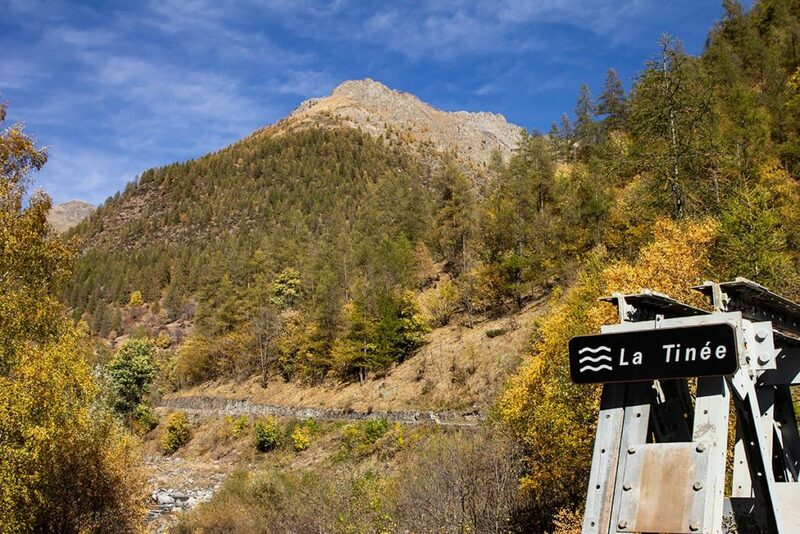 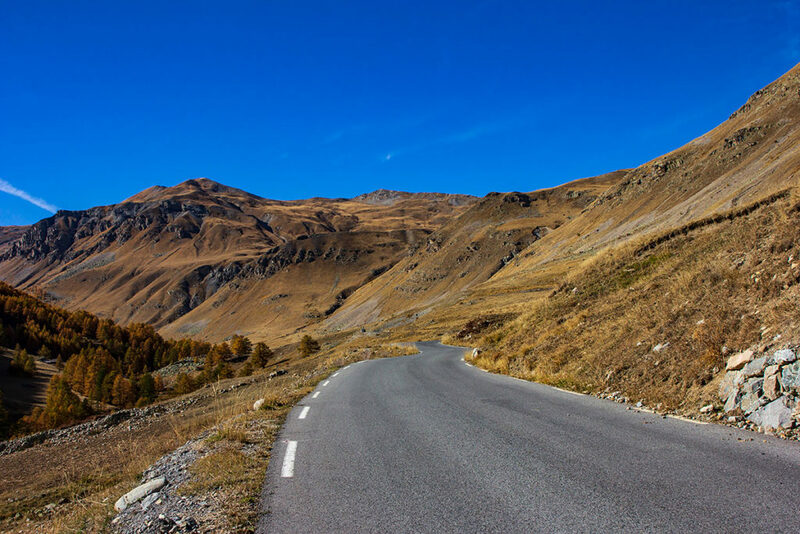 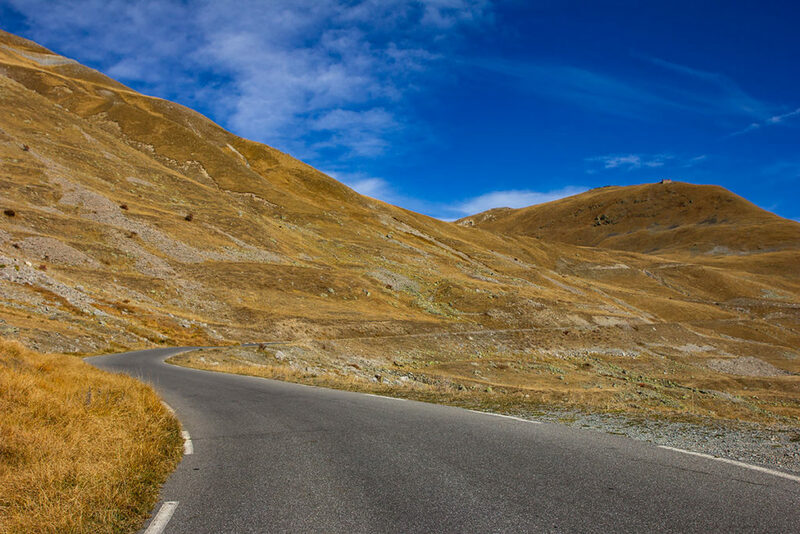 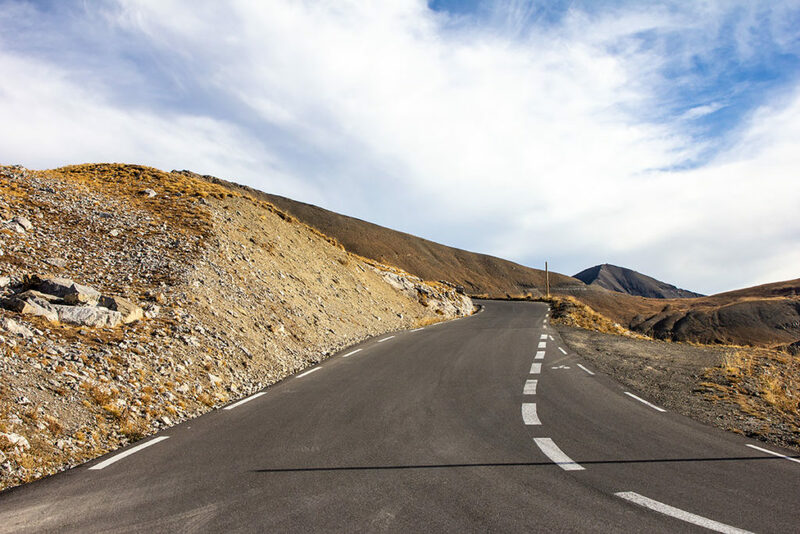 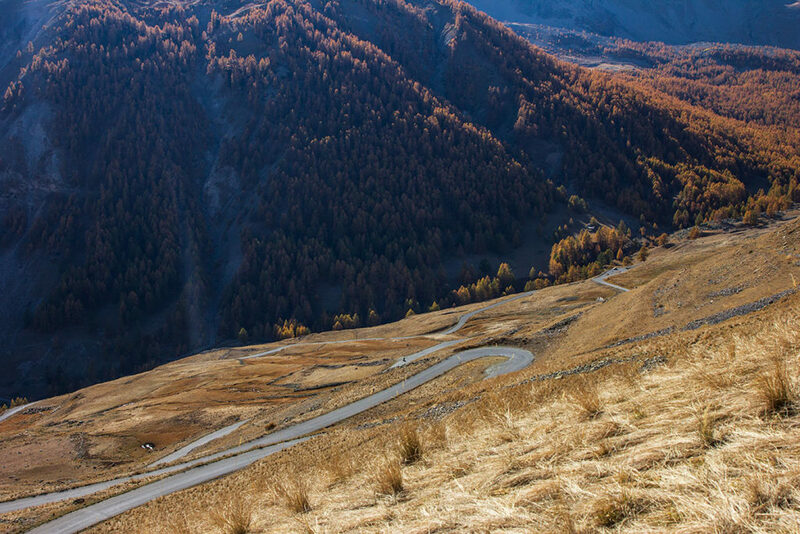 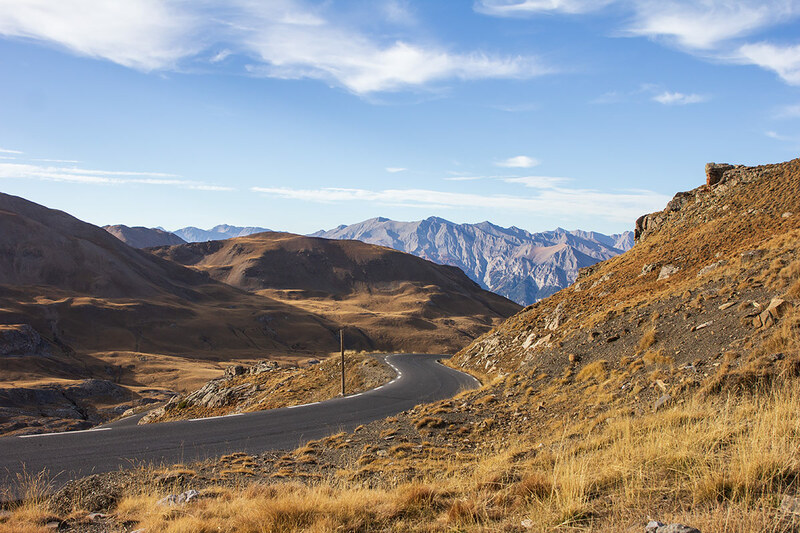 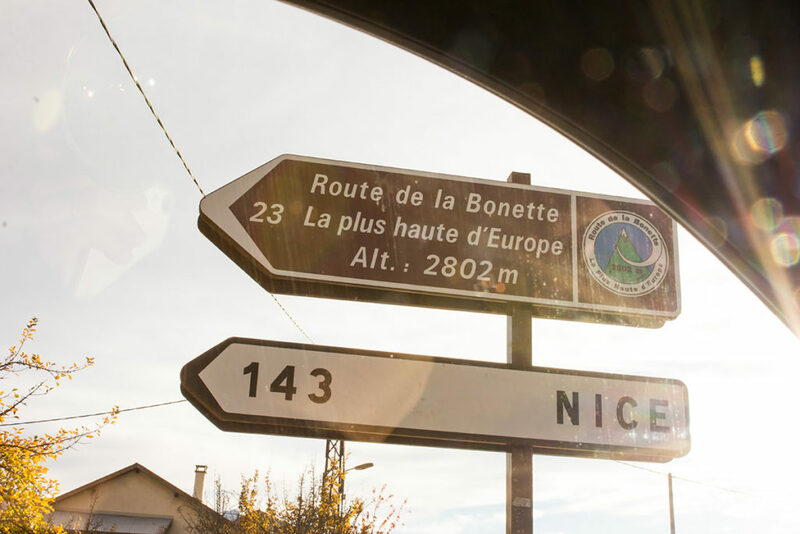 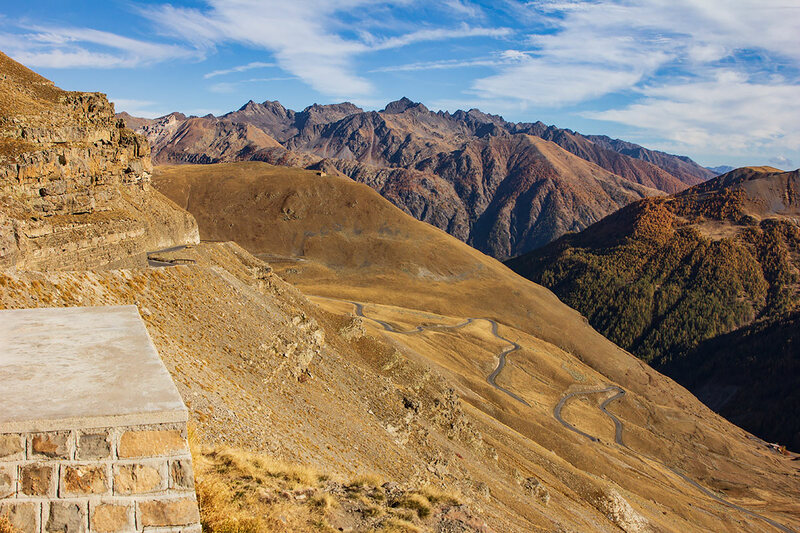 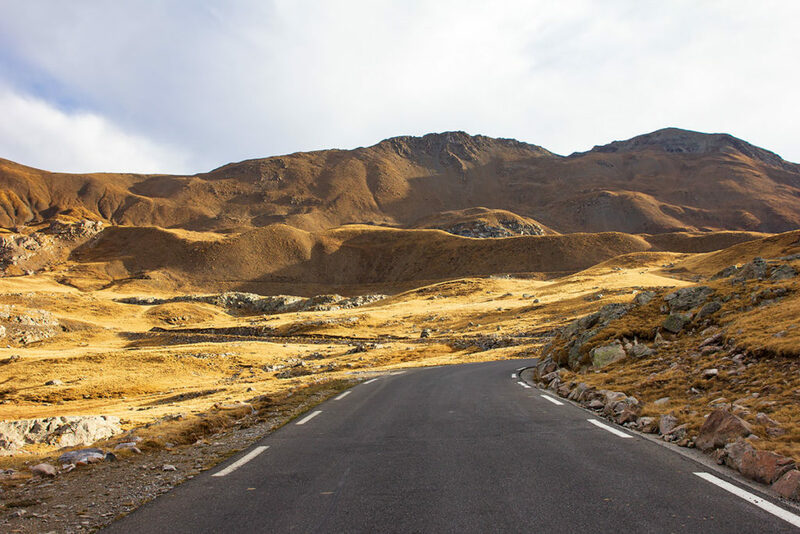 Col de la Bonette is also one of the first passes on the famous ‘Route des Grandes Alpes’ which takes you from the French Riviera to Lake Geneva through the French Alps, over the highest cols. 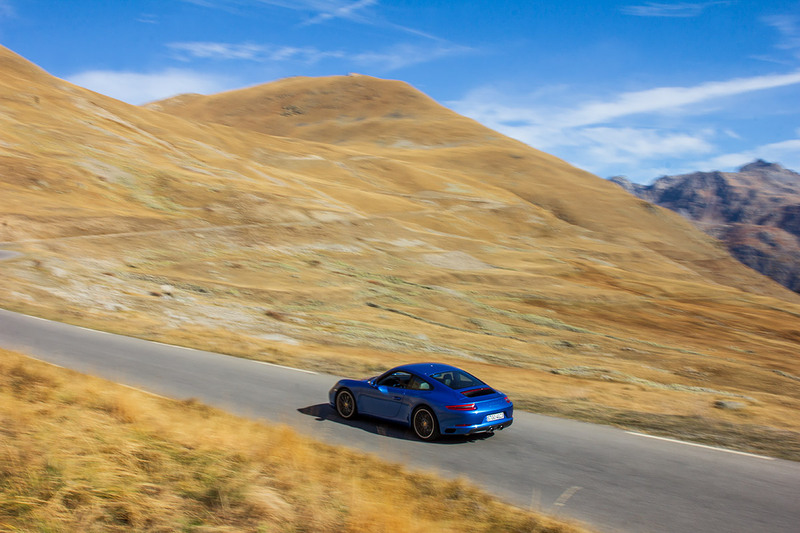 There are, of course, differences with a late season Porsche adventure – the landscape was dominated by one colour, and that colour was brown. 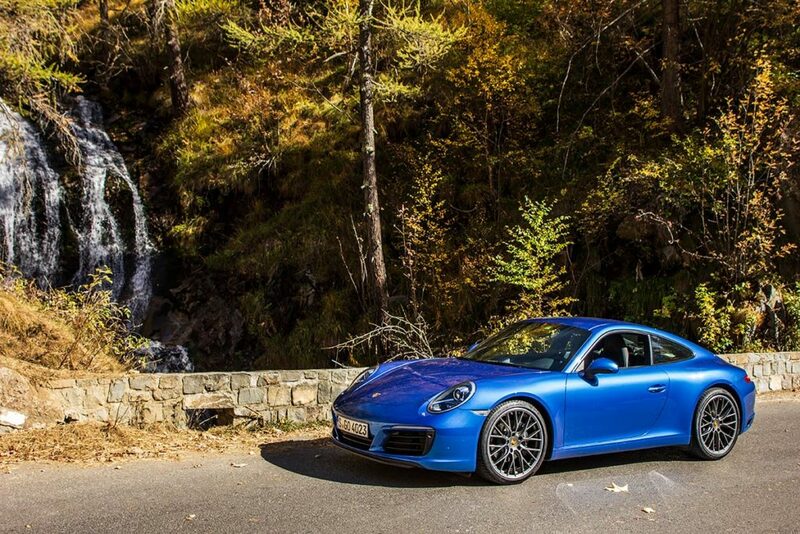 Luckily, brown comes in many different shades! 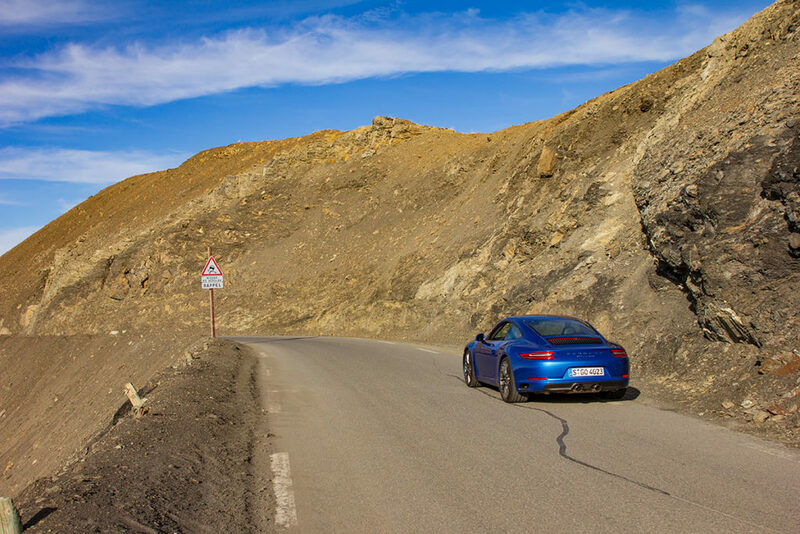 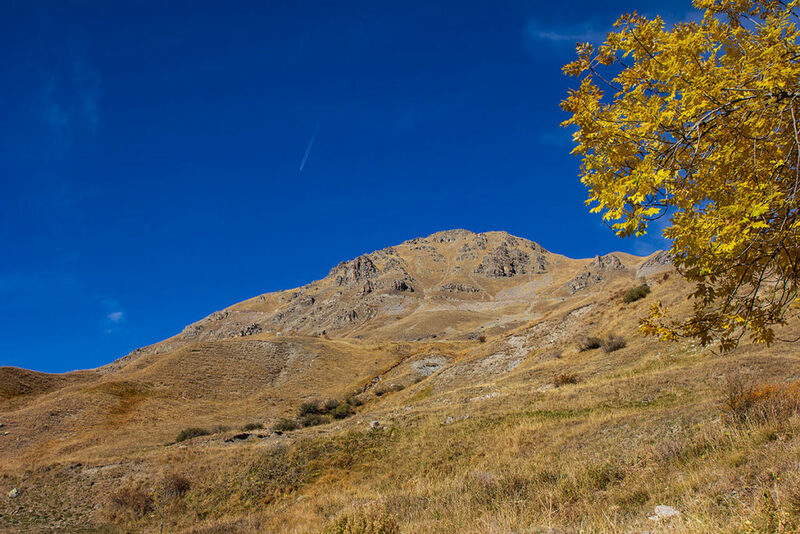 Whilst the roads were clear and the scenery pretty amazing, you can’t argue that a mountain pass does look breathtaking wearing its summer colours. 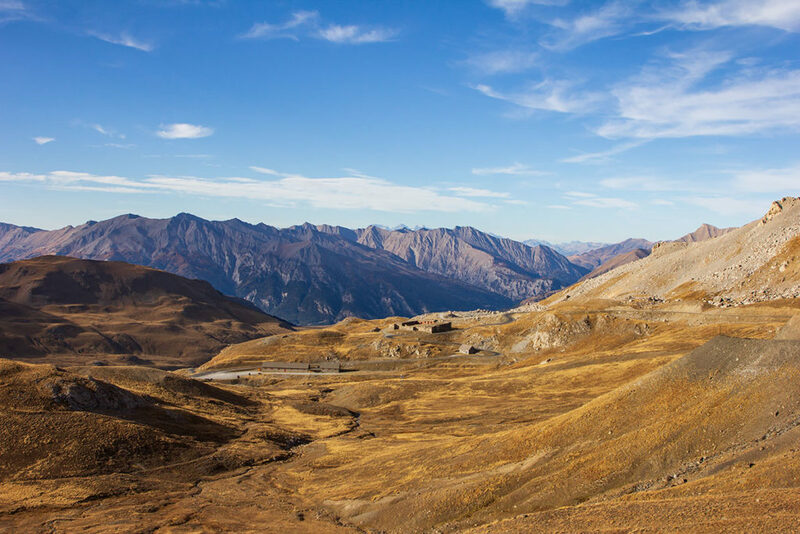 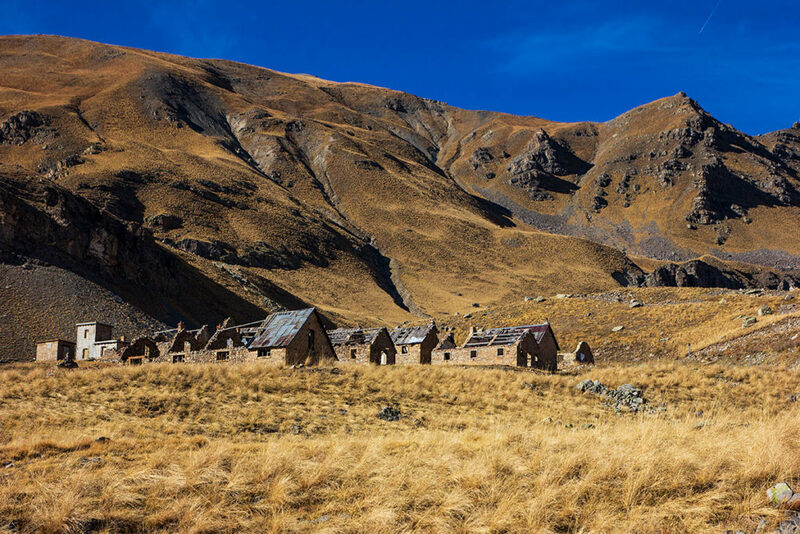 The meadows are green, the sheep flocks are grazing, and you can stop for lunch or a drink in the authentic small Halte 2000 – an alpine hut restaurant located right on the road, 2000m above sea level – with stunning views from the terrace. 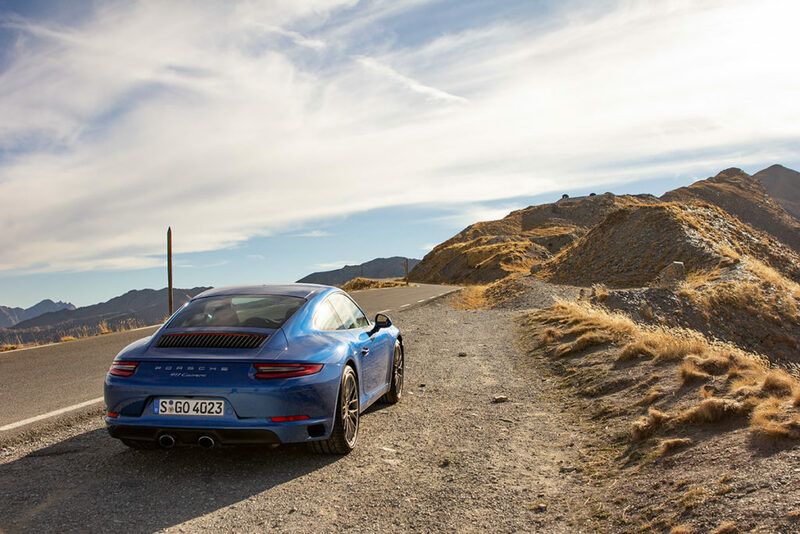 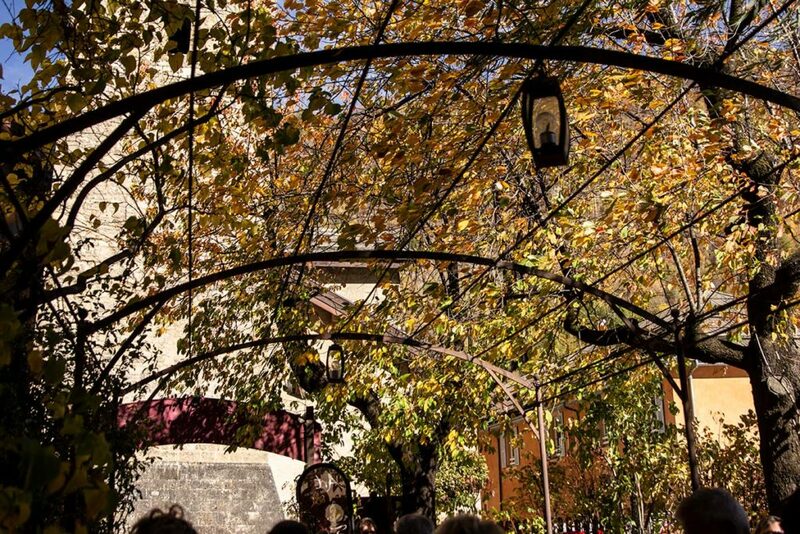 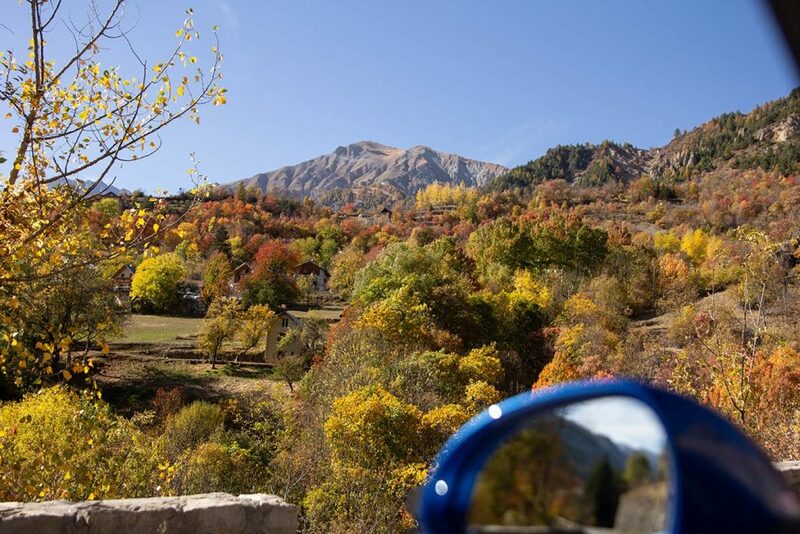 But that’s what it’s really all about – you need the idyllic pauses between the drives – a moment to take in the scenery. 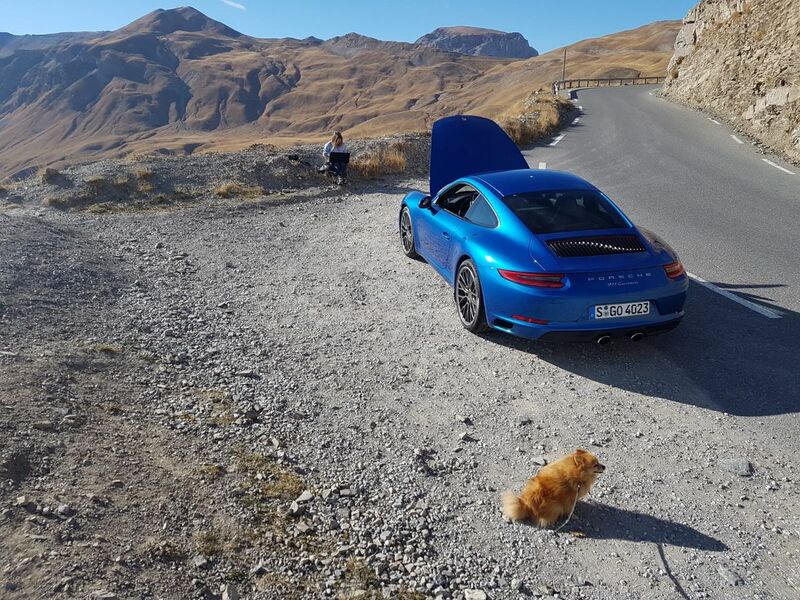 That little pause to empty the memory card resulted in a different ‘behind the scenes’ photo of me with my ‘portable office’ up in the mountains, a sports car next to me, and a laptop in my knee. 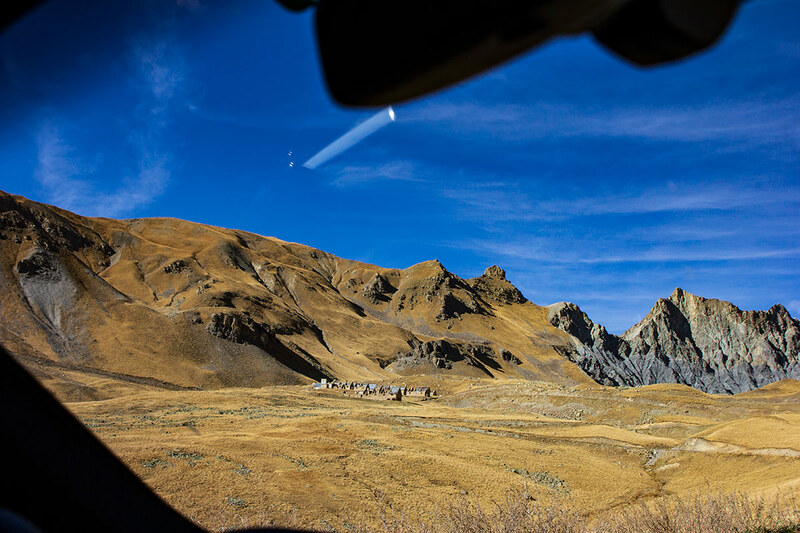 Best office view I’ve ever had. 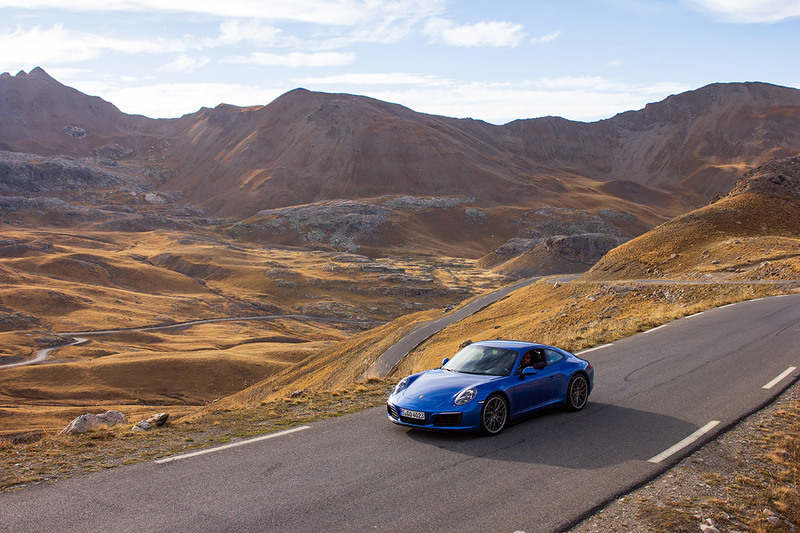 And if it wasn’t for that pause I wouldn’t have all these photos of our Porsche adventure on the Col de la Bonette to show you, because on the other side of the summit a new world opened up, the landscape kept getting even more picture perfect, and you wonder to yourself, why don’t more people just get out and drive? 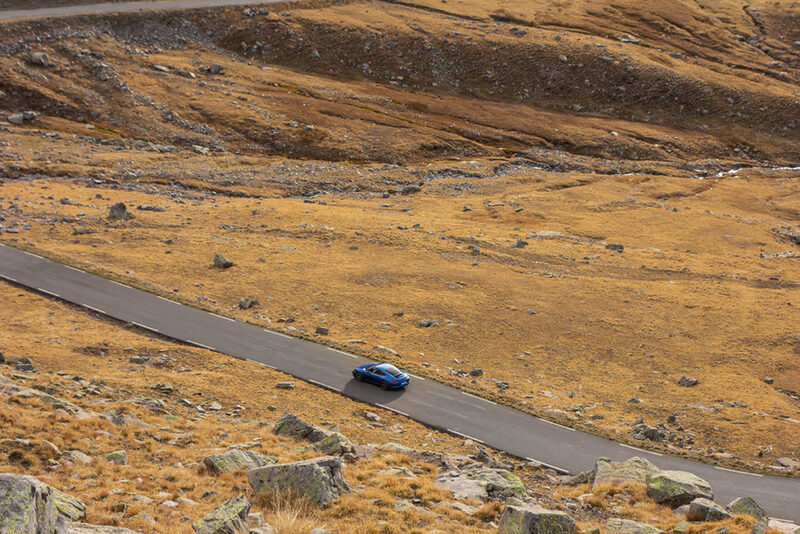 BMW M850i – M as in motorsport, or muscle car?